The transformation efficiency of SUNKINGDOM solar panel is up to 15-18.5%, while most of the similar products on the market is lower. When you're out enjoying the great outdoors, enjoy yet another perk: Well-placed eyeholes enable easy attachment to your backpack, tent or even trees. 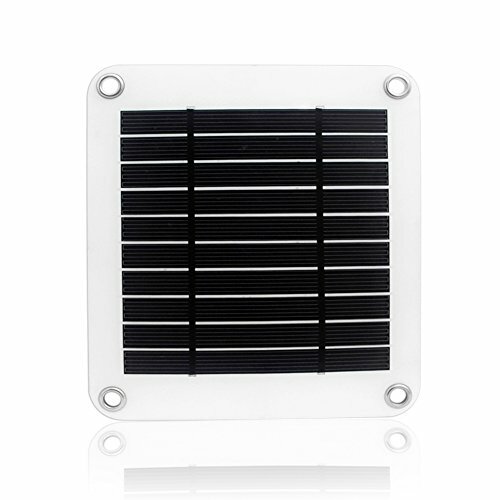 SUNKINGDOM solar panel's voltage regulator keeps your device getting stable current and prolong it's life. a. 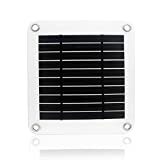 Open the solar panel and fix it on the places where it can receive maximum sunshine, like knapsacks, windows, car windshields, etc. b. Connect it with your device by the power cord(not included). c. The product will charge your device as soon as the sunshine is enough. SUNKINGDOM company is majoy in solar panel productions.We have professional technical team.Any problems you can contact us freely. 12 months worry-free product guarantee for our value consumer from SUNKINGDOM. Attention:Don't place device under the sunlight for a long time,as direct sunlight and over-heat may damage the device.